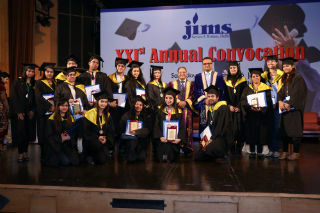 JIMS, SECTOR-5, ROHINI, entering the third decade of building its legacy, organized its 21ST Annual convocation at India Habitat Centre, Lodhi Road, New Delhi on 9th January 2016. 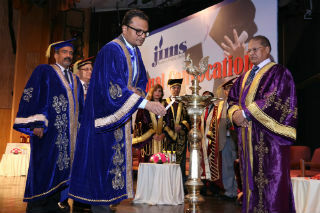 Mr. Manish Gupta, Chairman, JIMS inaugurated the occasion and Director Dr. J.K. Goyal welcomed the dignitaries, students and parents. 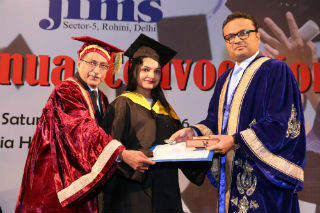 Students of PGDM, PGDM-IB, PGDM–RM, MCA, BCA, BBA streams were rewarded with Degrees and Diplomas respectively. 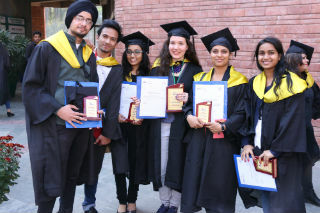 Mr. Manish Gupta addressed the students saying that the convocation not only becomes a very proud moment in student’s life but it also becomes the time to start shouldering responsibilities for simultaneously building oneself and nation. He said that this is the beginning of the real journey of life, so it’s better to tighten the seat belts and be alert rather than being relaxed and enjoying. 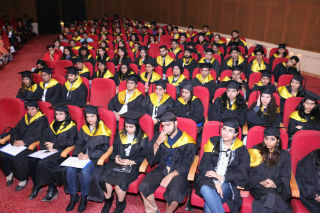 Director, Dr. J.K. Goyal congratulated students and praised parents for supporting their children. He congratulated the students for achieving a great milestone in their lives but simultaneously advised them to follow the core ethics which will lead them to prosperity and success. The topper Shruti Agarwal of MCA said that she is really thrilled to join the corporate world. 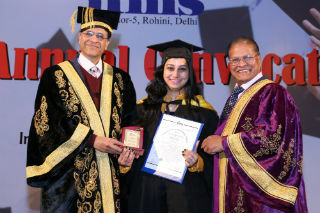 It’s not only her hard work but also the guidance of faculty members and management who have made this proud moment. Governing Board Members -Mr. S P Marwah and Mr. O P Bagla along with Academic Advisory Council members -Mr. M A Mateen, Prof. Sanjay Jain, Dr. V Shrimali and Dr. S K Garg and many more highly reputed dignitaries graced the occasion. Besides an exciting event, it was a day with emotions filled till brim as all eyes around were snivelling with mix of reactions. Celebrations, joys and cries together were busy in creating a history of memories.